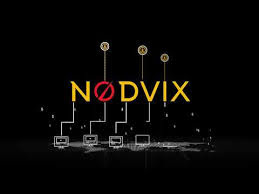 NODVIX is a decentralized, self-regulating, 24-hour broadcasting platform that is built to provide interesting and relevant video content to its users according to their interests. No need for KYC and no governmental censorship makes it the best environment for video content makers, advertisers and viewers altogether. The platform uses Torrent-Nodes on its blockchain to complete all the processes which make it totally decentralized. Content makers will create and upload their content on the platform which the Torrent-Nodes review, rate and categorize according to the nature of the content. The advertisers will submit their advertisements which would also pass through that process. Torrent-Nodes will then generate a hash that will contain a wallet address where the funds paid for advertisement are sent. The Torrent-Nodes will adjust a relevant advertisement into the content and publish it to the category it belongs in the network. The users then can watch the content on the platform, any hour of the day, anywhere in the world. NDVX is the utility token of the platform which will be used for the payments on the platform.